When asked what BJP thinks of Bihar's special status demand, Nitish Kumar told reporters to ask the question to deputy chief minister and senior BJP leader Sushil Kumar Modi. 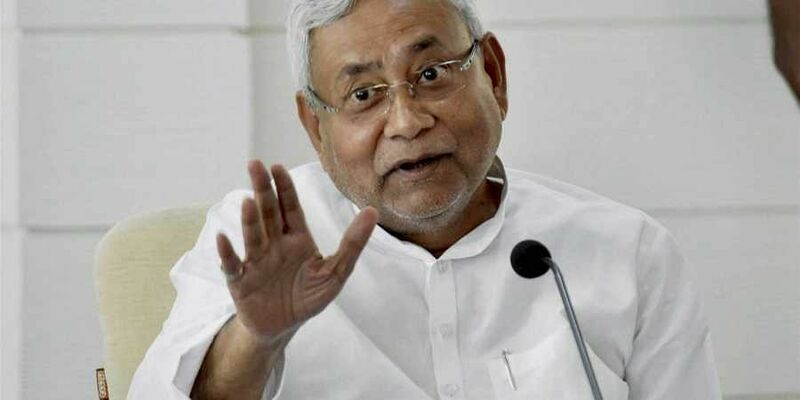 PATNA: Bihar Chief Minister and JD(U) president Nitish Kumar on Monday once again raised the demand for special category status for the state, but the Opposition RJD and Congress dismissed his stance as insincere and a “pre-poll gimmick”. Reiterating that Bihar is a land-locked state with little private investment, which has caused massive unemployment and low per-capita income, Kumar said the state deserves to be accorded the special status. The state government, he said, would continue its efforts to get Bihar the coveted status. “We have been seeking special status for Bihar since 2006. The report of the 14th Finance Commission indicated that special status was not required for the state. But we are pursuing the matter and we will put it forward before the 15th Finance Commission,” Kumar told reporters after the ‘Lok Samvad’ programme. Coming a week after a six-member JD(U) delegation led by former minister Ashok Chaudhary met President Ram Nath Kovind at Rashtrapati Bhavan last week to discuss the issue, Kumar’s statement assumes significance. “The demand for special status for Bihar has the support of all parties in the state. We will put forward our demand as we have our own strong logic and needs,” said the CM. JD(U) sources said since the party’s ally BJP has unequivocally expressed its willingness to retain the regional party as an ally for the 2019 Lok Sabha polls and the 2020 Assembly polls, JD(U) considers it the right time to put pressure on the Centre on the special status issue. When asked what BJP thinks of the special status demand, Kumar told reporters to ask the question to deputy chief minister and senior BJP leader Sushil Kumar Modi, who was sitting beside him. Modi, however, said he would not speak anything at the moment “because it is the CM’s news conference”. Ever since JD(U) snapped ties with RJD and Congress to form a government with BJP, the two Opposition parties have accused him of conveniently forgetting the special status issue. “Despite his previous efforts and campaigns for special status, Nitish Kumar is left with little sincerity on the matter. He is raising the issue now as a pre-poll gimmick,” said RJD vice-president Tanvir Hasan. Congress state president Kaukab Quadri said: “Nitish Kumar had been demanding special status when he was with us (Congress) and even before that, when the Centre had a UPA government. Why does he have to raise the demand now when JD(U) and BJP are allies? He must clarify what happened to his claims that Bihar would progress at double speed due to the double engine? ?